Fighting for your rights in court. When it comes to defending your rights in the courtroom, experience matters; call criminal defense attorney Bryan Coulter, who will work to protect your rights. 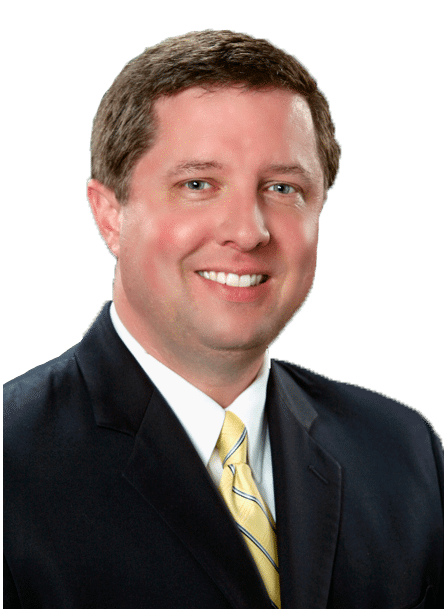 Mr. Coulter has years of criminal defense experience representing clients in serious felony and misdemeanor cases, including at the trial and appellate level. Mr. Coulter will carefully review your case, discuss with you the challenges, and work to protect your rights. Invest in a criminal lawyer who invests in YOU. Felonies are the most serious class of crimes. In Indiana, felonies are categorized into six levels: 1, 2, 3, 4, 5, & 6. Level 1 felonies are the most serious felony charges and are punishable by 20 to 40 years imprisonment. Some Level 1 felonies are punishable by up to 50 years imprisonment. Level 6 Felonies are the lowest level felonies and are punishable by a range of penalties from 6 months to 30 months. In Indiana, felonies are also punishable by fines of up to $10,000, and a minimum sentence of one year. Each case is different. Additional penalties may apply due to criminal history or the type of crime committed. However, if you stand accused of a felony, protect your rights; hope is not lost. Call criminal defense Attorney Bryan Coulter, who will review your case and work with you to protect your rights. In Indiana, misdemeanors are punishable by one year in jail or less. Misdemeanors in Indiana are categorized into 3 levels: A, B, & C, and are punishable by a maximum penalty of 365 days, 180 days, and 60 days, respectively. Sentences for misdemeanors (and felonies, in some circumstances) may be suspended to probation, meaning time served under the supervision of a probation officer, but not jail. Depending on the fact of the case and the criminal history of the accused, diversion agreements allowing for dismissal of misdemeanors may take place. Misdemeanors are serious and should be treated seriously. A conviction for a misdemeanor, especially a crime for dishonesty or drugs, can affect your ability to work, drive, and more. Call Attorney Bryan Coulter for your Lafayette criminal defense, who will work to protect your rights and serve as your voice in the courtroom. Just being accused of driving drunk can severely affect your ability to drive. Upon a finding of probable cause, the court may suspend your license. Refusing to submit to a certified chemical test, but not sobriety tests, can result in a one-year license suspension; refusing a chemical test with a prior drunk driving conviction on your record can result in a two-year license suspension. Many factors affect a drunk driving case, like the reason for a traffic stop, the time between a traffic stop and the time of the certified chemical test, the certification of the officer administering the chemical test, the calibration of the chemical test machine, etc. Free legal advice: NEVER DRINK AND DRIVE. But, if you are accused of driving drunk, call Lafayette, IN criminal defense Attorney Bryan Coulter, who will work to protect your rights and be your voice in the courtroom. Crimes on your record present a serious disadvantage when looking for employment, applying for scholarships, or even volunteering. Having convictions on your record, felony or misdemeanor, can keep you from living life to the fullest, and can take away opportunities you may otherwise have with a clean record. If you have a criminal record, hope is not lost. In fact, with Indiana's "Second Chance Law" you may have the one-time opportunity to expunge your criminal record and start anew. Call Attorney Bryan Coulter, a criminal defense lawyer in Lafayette, IN with years of experience in expungement law. Every case is different. You may or may not be eligible for expungement. Criminal lawyer, Bryan Coulter will review your criminal history and discuss the options in your case. Protect your rights. Call Coulter Law Office for a free review today. While you may be a responsible driver, traffic violations can happen to anyone. In fact, they happen to the best of us. Maybe you were a few seconds too late for that red light, or the speed limit changes quickly without you noticing. There may be instances in which you feel like you've been ticketed unfairly. If this is the case, it's not too late to bring in legal assistance to help get those points off of your record. If you are in need of traffic violation expungement, do not hesitate to contact Attorney Bryan Coulter, experienced criminal defense attorney in Lafayette, IN. Theft is defined in Indiana law as knowingly or intentionally exerting unauthorized control over the property of another, with intent to deprive the other person of any part of the use or value of the property. Thefts can be misdemeanor or felonies, depending on the value of an item stolen and on the criminal history of a defendant. Thefts are crimes of dishonesty and can adversely affect your ability to work—both now and in the future. If you are accused of theft, call Attorney Bryan Coulter, a Lafayette criminal defense lawyer with experience in theft cases. Charges for drug possession can stay on your record for the rest of your life if action is not taken to expel these charges from your record. Drug possession convictions on your record can hinder your employment opportunities, financial situation, relationships, and more. Fortunately, we can help. Schedule a consultation with Attorney Bryan Coulter to discuss your situation and determine the best course of action. Mr. Coulter, a criminal defense attorney in Lafayette, Indiana, will aggressively and effectively represent you in court, helping you gain the best possible outcome. Attorney Bryan Coulter is an experienced in many areas of criminal defense. Call Bryan Coulter at Coulter Law Office for a free consultation.